This New Horizons conference will be the perfect place for you to meet your fellow: producers, services companies, industry insiders, policy makers, regulators, environmental professionals, academics, suppliers to the industry, legal professionals, developers and supply chain companies. Kallanish Energy is pleased to announced the latest event in our successful conference and seminar series: New Horizons: Appalachian Basin. This event will be hosted in Canonsburg, PA (near Pittsburgh) on November 29th, 2018. This conference is designed to bring together thought leaders to present papers on issues that are currently challenging you, or will challenge you in the near future. Thereby giving you tools, knowledge, and strategies to turn these challenges into opportunities to be ready for the New Horizons. This event will be a ¾ day conference focused on Oil & Gas in the Appalachian Basin and the presentations focus on these key topics: Crackers, Storage, & Pipelines; Utica in PA; Cybersecurity in the O&G; Big Data – technology – workforce. Crackers. The construction of massive ethane crackers, designed to convert ethane from the natural gas liquids stream to make the building blocks of most plastics, is one of the biggest construction projects/manufacturing processes the Appalachian Basin has seen in decades. Storage. Ethane crackers need some place to store the ethane they use as feedstock. Using pipelines for temporarily storage is just that: temporary. A roughly $4 billion underground storage hub has been proposed for a site in West Virginia, Ohio or Pennsylvania — exact location to be determined. Pipelines. Since the Marcellus Shale play took off a lack of takeaway pipelines have been blamed for holding back Marcellus, then Utica Shale production, and thus holding down the price natural gas commands. No longer. Pipeline capacity is expected to meet production late this year, certainly into 2019. Utica Shale activity in Pennsylvania. The Marcellus Shale play means Pennsylvania and West Virginia, the Utica Shale means Ohio, right? Wrong! More and more operators like the looks of the Utica east of Ohio, in northeast Pennsylvania. The oil and gas industry has long been looked at as a leader in using data in the day-to-day operation of its business. But somewhere along the line, many other industries caught up to, then passed O&G in terms of the use of data. At the same time, cyber security has become a growing problem in most industries — certainly in the O&G industry. To be successful, industry players have to be cognizant of what is occurring and how there operations fit into the larger Big data and cyber security usage universe. Tom Murphy is Director of Penn State’s Marcellus Center of Outreach and Research(MCOR). With 32 years of experience working with public officials, researchers, industry, government agencies, and landowners during his tenure with the University. His work has centered on educational consultation in natural resource development, with an emphasis specifically in natural gas exploration and related topics for the last twelve years. He lectures globally on natural gas development from shale, the economics driving the process, and its broad impacts including landowner and surface issues, environmental aspects, evolving drilling technologies, critical infrastructure, workforce assessment and training, local business expansion, resource utilization, financial considerations, and LNG export trends. Philip Lamb is the Managing Partner in PRL International’s Pittsburgh, PA office and specializes in the recruitment of senior-level professionals. With over 20 years of executive search experience, Philip has led numerous c-level, Engineering, and recruitment team searches across industry. Philip works with the world’s leading resources and service companies to help them identify leadership potential, drive development, accelerate readiness and energize transitions. With a full range of talent solutions designed to fit the sector — from organizational design to rewards and benefits, leadership development, assessment and succession and talent acquisition – he builds solutions that ensure leadership success and identify leaders who fit corporate culture, think in new and innovative ways and are ready and able to lead when called upon. Based upon the thousands of searches conducted in the region, PRL International has compiled a unique and valuable database, understanding of the talent pool and real compensation ranges in the region. Philip is a graduate of Holy Cross College and Duquesne University. He lives in Pittsburgh, near Southpointe with his wife and children. Jim is a certified industrial cybersecurity professional and the Chief Marketing Officer of Kenexis with degrees in physics, computer technology, and international business. Jim started his industrial control system experience on submarine based nuclear power plants in the US Navy. Prior to joining Kenexis, Jim worked to develop the industrial software business globally for Rockwell Automation and drove a technology inside strategy through sales and operations as vice president at Tridium, a Honeywell technology business. In addition to many years of design and programming experience, Jim has designed strategies for several business including industrial control software, building automation, industrial cybersecurity tools, and services to support safe, secure and reliable operational environments. Jim has served as the president of Control System Cyber Security Association in central Ohio and the Director of the ISA Safety & Security Division, and served the US Navy on two submarines as a plank owner and nuclear reactor operator. Tom Gellrich is an international business executive with 25 years of industrial experience. He has a successful track record in driving revenue and profitability gains 15+ years of direct P&L responsibility managing global businesses, in sizes ranging from start-up to $200M. His background merges the disciplined approach from 15 years in Fortune 50 companies with 10 years in entrepreneurial creation of start-up ventures. Tom bridges the practical – theory gap with hands on operations roles and consulting positions. His creative use of information technologies has yielded transformational change in many businesses. Working a variety of international settings including running the Elemica European office in Frankfurt Germany confirms Tom’s ability to manage complex cultural issues central to international business success. Tom is a data scientist with extensive experience managing projects and training diverse audiences. Seeking to provide meaningful data analysis for research, insight, and improvement. I've joined the company as North America Energy Editor for KallanishEnergy. I have been covering energy-related topics for more than two decades, with an emphasis on oiland natural gas in the last 10 years. I was one of the first journalists to cover what has become one of the biggest energy stories in the last 30 years: the Marcellus Shale play in the U.S.’s Appalachian Basin. 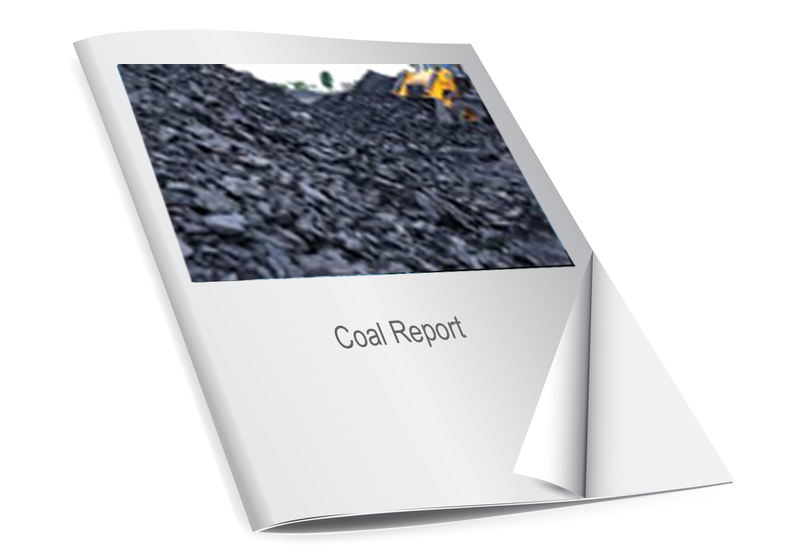 During my career, I also have covered the coal, nuclear and renewable energy industries for business publications, weekly business and daily newspapers, and Internet-only publications. I'm based in the center of the Marcellus Shale play: Pittsburgh, Pennsylvania. Michael Marr, Business Integration Lead Shell Chemical Co.
J. P. Dutton was elected to his seat which began on January 2, 2017. Prior to serving as a Commissioner, Mr. Dutton spent 9 years with Leonardo Technologies, Inc. (LTI), during which he focused on providing policy analysis to energy and environmental projects including global trends as well as advanced technologies, particularly in coal and natural gas. He has worked with a variety of clients including the Department of Energy, the National Energy Technology Laboratory, the Department of State, the Department of Defense, and the Corps of Engineers. Prior to joining LTI, Mr. Dutton spent 8 years serving in a number of roles on Capitol Hill as Congressional staff. During this time period, he worked with federal, state, and local governments on behalf of Ohio’s 18th Congressional District which included 20 counties.Mr. Dutton was raised on a cattle farm in Flushing, Ohio and graduated from Union Local High School. He holds a B.S. in Finance from Miami University, Richard T. Farmer School of Business as well as a MBA from Wheeling Jesuit University. He and his wife, Stacey, who is an area hospital social worker, are the parents of three young children. Mike Atchie, Manager of Public Outreach, Williams Cos.
Mike Atchie is the Manager of Public Outreach for The Williams Companies. Inc., where he works to ensure communication and engagement between the company and the communities in which Williams builds and operates natural gas infrastructure. Mike is involved in efforts to inform public officials, landowners, business leaders and other stakeholders, across Williams’ domestic footprint, regarding the transmission of natural gas to meet domestic energy needs. Prior to joining Williams, Mike worked as a Public Affairs Specialist for Chesapeake Energy. Mike also served as the Director of Planning, Housing and Community Development for the City of Binghamton, New York. He earned a Master of Public Administration degree from Binghamton University and a Bachelor of Arts degree in Political Science from LeMoyne College. Mike lives in Binghamton, New York with his wife and two children. He serves on multiple local boards and committees and actively coaches youth sports. George Pullen serves as senior economist with the Division of Market Oversight at the CFTC, specializing in energy derivatives. Mr. Pullen has over seven years of federal civilian service and over five years with the USMC Reserves. His experiences with the CFTC includes providing economic analysis, consulting, presenting and white papers on: natural gas, oil, refined products, coal, electricity, Bitcoin, data architecture, CDS, swap rulemakings, exchanges, metals and rare earth minerals (REMs). He has also served as advisor to several task forces to include the: HFT Technology Committee, IOSCO Over-the-Counter Derivatives Task Force, Regulatory Data Committee and FinTech Working Group. Scott M. Potter is Director of Business Development and a Senior Consultant with RBN Energy, LLC, based in Houston, TX. Mr. Potter brings over thirty years of experience in the oil & gas industry, with a primary focus on natural gas trading, marketing and transportation, as well as providing consulting services on a wide array of North American and international projects. Mr. Potter began his career in the early 1980’s, working for UPG, Inc., Northern Natural Gas’ crude oil and condensate subsidiary. From there, Mr. Potter co-founded Aquila Energy, which developed into one of the industry’s leading marketers of natural gas. In the mid – 1990’s, Mr. Potter joined Mr. Braziel as Texaco’s Natural Gas Vice President of Natural Gas Trading, overseeing both short and long term natural gas marketing. Mr. Potter also spent time working with Mr. Braziel at Altra Energy, leading a team responsible for delivering Altra software to international clients, including Pemex, Mexico’s state owned oil company. During his tenure with RBN, Mr. Potter has participated in numerous consulting engagements focused on crude oil loading and receiving terminals (Canadian and domestic), natural gas and natural gas infrastructure (pipelines, storage and gathering), and natural gas liquids. Mr. Potter holds a Bachelor’s degree in Business from the University of Minnesota. Denise Brinley is the senior energy advisor for the Pennsylvania Department of Community & Economic Development. In this role, she assists the agency with developing investment, business development, and recruitment strategies for the Commonwealth. She also focuses on Pennsylvania’s access to natural gas, pipeline infrastructure build out, impaired properties that hold great potential for redevelopment, and the existing industrial and manufacturing base position the Commonwealth for sustained economic growth. Her responsibilities include building effective relationships with private companies, public officials, federal and state agencies, non-government organizations, and other partners to further the agency’s strategic agenda. Sha also focuses on partnership-building, both internally and externally, and helps to develop significant departmental initiatives that demonstrate the inextricable links between economic and community development, the private and public sectors, and the economy and the environment.